The seminar sought to examine different features of the relationship between Irish and UK law: the tensions of the past, the similar problems faced by two common law jurisdictions in the light of a global banking crisis, linguistic diversity and demands for consumer law reform and the future, with one jurisdiction remaining within the European Union and the other deciding to leave. The paper of Professor Lorna Fox O’Mahony (Essex) on ‘Land law ideologies and the British-Irish question, from the famine to post-Brexit’ highlighted the importance of history in our understanding of contemporary land law and the tensions which exist between approaches to property based on a right to exclude and those based on a more socio-economic perception of shared rights over land. She also examined the impact of EU law in introducing civilian influences into the land law of both jurisdictions. Using the case study of mortgage repossessions, Professor Fox O’Mahony threw fresh light on parallel legal developments in Britain and Ireland and the legacy of the Irish independence movement in the formation of modern Irish land law. For Professor Blanaid Clarke (Trinity College Dublin), however, more up-to-date concerns need examination, notably the consequences of the banking crisis from 2008 onwards. In a lively talk on ‘Enforcement against Individuals for Failings in Banks’, she drew on the prosecution (or lack thereof) of key figures in the banking crisis across the US, UK and Ireland and considered to what extent these systems have been able to respond against individuals for failings in banks. How do we ensure accountability: by criminal measures, deductions from earnings, regulation or by private law measures? The impact of the financial crisis in identifying regulatory gaps in all these jurisdictions was highlighted in a thought-provoking paper. The final paper by Dr Cliona Kelly (University College Dublin), entitled ‘Consumer Rights Reform in the UK and Ireland – A case study in Legal Transplants’, compared the development of consumer rights legislation in the UK and Ireland, noting commonalities (the Sale of Goods Act 1893 and EU Directives) and differences (there is no Irish equivalent of the UK Unfair Contract Terms Act 1977 nor legislation on third party rights). While Ireland had intended to follow in the steps of the UK Consumer Rights Act 2015 with its own Consumer Rights Bill (which Dr Kelly had been involved in drafting), changes at EU level have led to its suspension for the time being. 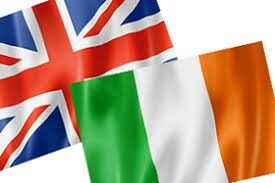 With Brexit, therefore, and the continuing influence of EU directives on Irish law, there is a clear prospect of future differences between UK and Irish consumer law. Dr Kelly’s paper therefore casts light on the potential for divergence between two closely related common law systems as a result of the UK’s decision to leave the EU. For those unable to attend the seminar, the papers will be published in a special edition of the Common Law World Review (a University of Bristol-based journal) which is scheduled for publication in March 2018. For further inquiries, please contact Paula Giliker (paula.giliker@bristol.ac.uk).